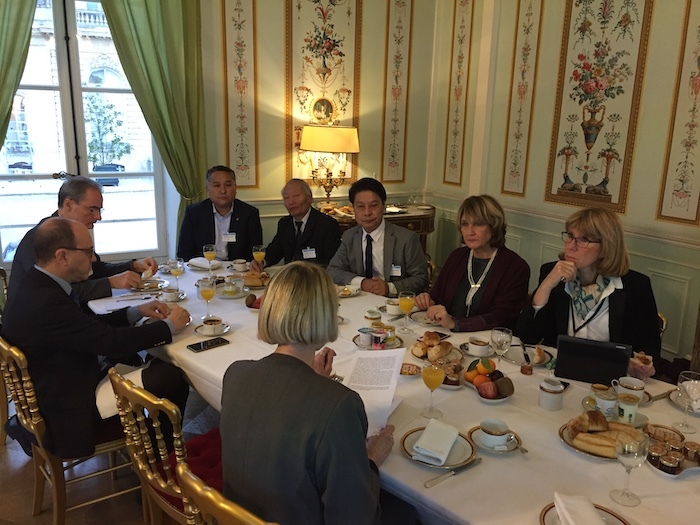 (TibetanReview.net, Dec08, 2018) – A breakfast discussion was held by the newly reinstituted Tibet Group in the French National Assembly in the National Assembly premises on Dec 5 and featured a presentation by a veteran Tibetologist, said the Central Tibetan Administration on its Tibet.net website Dec 7. Ms Katia Buffetrille, a Tibetologist of over-30-year standing and a frequent visitor to Tibet, was stated to have made a powerpoint presentation and a paper. CTA said the discussion was presided over by the group’s president, Deputy Ms Tutu Picard. Others who attended the discussion were stated to include Senator Andre Gattolin, Vice President of Tibet Group in the French Senate; besides Deputies Michele de Vancouleur and Florence Grenjus. Mr Thierry Munier, the Coordinator of the Tibet group in the Senate as well as the assistants of the National Assembly Tibet Group were also stated to be among the participants. Representative Tashi Phuntsok from the Bureau du Tibet, Paris, was reported to have joined the discussion with his two assistants. Senator Gattolin was stated to have pointed out that for many years China had refused to entertain the Senate Tibet Group’s requests for visas to visit Tibet. And he has asked many questions about the situation in Tibet, including on issues of what may amount to genocide, mining and environmental concerns. Gattolin has visited Dharamshala a number of times. Ms Picard was stated to have expressed aghast at the suppression of the Tibetan people under Chinese rule and to have expressed concern over lack of reciprocity from China for citizens of other countries on the issue of access to Tibet.